Although many key reforms of the Affordable Care Act (ACA) are effective for 2014, additional reforms will become effective in 2015 for employers sponsoring group health plans. For 2015, the most significant ACA change is the shared responsibility penalty for applicable large employers. 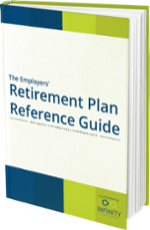 To prepare for 2015, employers should review upcoming requirements and develop a compliance strategy. Prepare your company for 2015 legislative changes. ©2016 Infinity Benefit Solutions Inc.